The Fifth Annual Brandon’s Run has been planned for Sunday, November 24, 2012 at 2:00 pm. The 2-mile awareness run/walk will begin at Rockridge High School. Proceeds will be used for testicular awareness educational materials and a $500.00 scholarship for a senior basketball player at Rockridge High School. The registration fee is $15.00 per person. Click here to download an entry form. 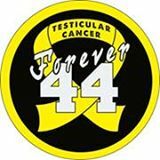 During Brandon’s illness it was his dream to educate junior and senior high students on the symptoms of Testicular Cancer. Unfortunately time was cut short for Brandon on November 29, 2008, and his dream of making a difference through education and awareness has been left to his family and friends. Physicals will include a testicular exam for all young males. Health classes will include a section on cancer education and how to talk to family and health professionals. We were so blessed in 2009 to have several sponsors for our run and more importantly 400 registrants. Some of the funds raised at the 2009 run were put towards a $500 scholarship to a Rockridge Senior Basketball player – one who we feel showed the most inspiration to his teamates – the 1st one was awarded to Mitch Govea – Mitch is attending Black Hawk College this Fall and plans on playing baseball there also. We hope this money will help Mitch get started and we want to thank Mitch for showing “Inspiration” throughout his 4 years of playing basketball for the ROCKETS!!!! The Foundation also supported the LIVESTRONG team at the RAGBRI this year. We are hoping to raise money this year to help support another $500 scholarship and help with the costs of purchasing more shower cards to pass out and educational materials to be used when visiting Jr. and Sr. High Schools to make young men AWARE of the importance of self examination and the importance of reporting any irregulatories as soon as possible!!! EARLY detection is our CURE!! !